Plan to make this flavorful fresh peach salsa early in the day or the day before to give the chopped fruit and vegetable time to mingle. 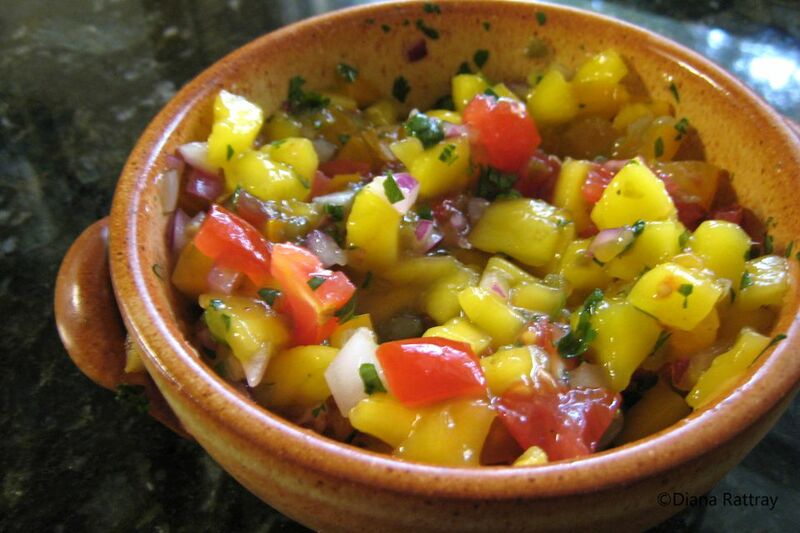 The fruity salsa is flavored with red onion, cilantro, peppers, and a little garlic. It is excellent with pork chops, chicken, fish, and seafood. It's especially good with seared or grilled tuna or chicken. See the tips and variations below the recipe for additional ideas and how to peel peaches. Cover the bowl and refrigerate until serving time. The flavors are best if the salsa is refrigerated for 4 hours or overnight. Serve this peach salsa with grilled or broiled fish, pork, or chicken. The most effective way to peel peaches is to dip them in a pot of boiling water for about 15 to 20 seconds, and then immediately immerse them in ice water. The peels will be loosened and peeling will be much easier. Jalapeno peppers can vary in heat, from a relatively mild 2,500 units on the Scoville heat scale to a much higher 8,000 units. Always wear gloves when slicing and chopping hot chili peppers. If you don't have honey, substitute corn syrup or agave nectar, or use granulated sugar or brown sugar to taste. Replace the red onion with sweet onion.